These extracts and oils are made with local and/or organic herbs harvested at their optimal time and infused in 80 proof vodka or organic olive oil for 4-6 weeks. They are strained and bottled for external use. Freshly harvested and local Calendula flowers infused in organic Olive oil. Freshly harvested and local Comfrey leaves infused in organic Olive oil. Freshly wildcrafted White Pine needles infused in organic Olive oil. Naturally nourish yourself with our Herbal Breast Massage Oil, made from wildcrafted or locally grown Calendula blossoms, Comfrey Leaves, White Pine needles, Violet leaves, Goldenrod flowers and Lavender flowers infused in organic olive oil. 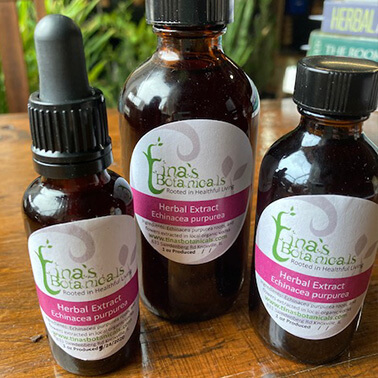 These are some of the herbs suggested by Susan Weed, a Wise Woman Herbalist, to include in an oil as part of a self breast exam, to benefit painful, lumpy breasts. This oil soothes and nourishes the skin and has antiseptic and anti-tumor qualities, as well. Other blends can be made according to your specific needs. This convenient roll on oil comes in a small glass container and is perfect for carrying in your purse or bag. It can be applied on the wrist, temples, feet, behind ears or any place that feels good to you. This oil can be an herbal infused oil that I have in stock and/or it can be a blend of infused oils with essential oils and organic fractionated coconut oil, depending on your preference. Organic Lavender flowers infused in alcohol or witch hazel and mixed with distilled water. This refreshing mist gives a clean and lovely scent at home, in the car, or in the office.